N E Parker & Co is located in the Annex to Tameway Tower in Bridge Street, Walsall,West Midlands,WS1 1QD England. The self -contained office suite stands next door to the Tommy's Bar Public house and is Accessible via Tameway Tower car park in Freer Street as well as through the main entrance and reception at Tameway Tower; car parking should be convenient in Freer Street car park. Conference room facilities are provided and the office suite is protected by security personnel and security cameras. 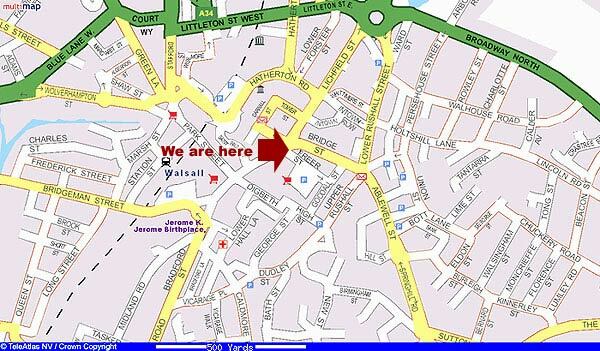 N E Parker & Co is in close proximity to Walsall Railway station and 2 miles or so from junction 10 of the M6 motorway.